Everyone knows that nail polish can nail you look! But finding a great - SHINY one is THE most important thing when your on the hunt for the best top coat. I have always been a big fan of Rimmel, that fact that you can buy small bottles works for me. They always go crusty anyway before you get to the bottom. 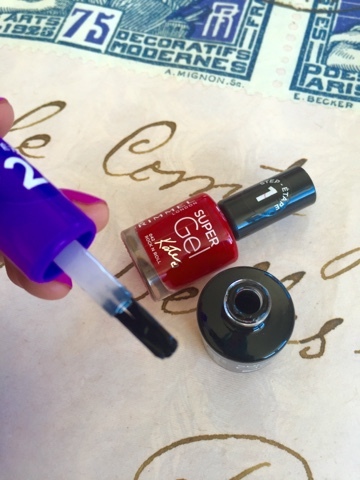 We thought we would try the new Super Gel by Rimmel. This was the first coat on the lovely Carly's nails. Pretty bright, I thought we could get away with one coat but it was recommend that we do two! So we did. This is two coats! A little deeper and noticeably shinier. We noticed that the brush had two brushes combined in to one. This made for a thick layer of polish, easier for it to glide on and last for the stroke to the end. We waited about 5 minutes before I painted the last coat. I also ran her nails under cold water (I have been doing this for years - I feel like it helps the nails dry quicker). There you have it shiny nails! Her nails lasted for 6 days, which I think is pretty good. Carly said they would of lasted longer however she works a lot with water. Verdict! 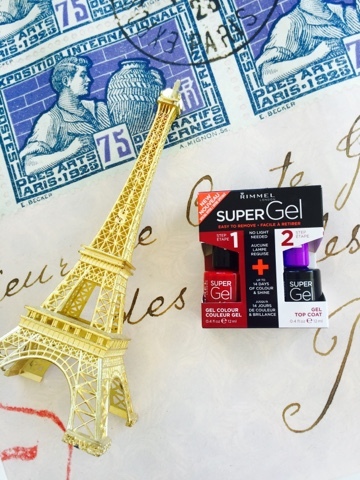 we love the Super Gel top coat and recommend you try it for yourselves.